AFTER an eventful year, performing artist Bwalya Sophie Chibesakunda, alias Bombshell, has ended the year with a bang by releasing a new Hip-Hop/R&B single. The rapper has just announced the release of ‘Shame Ol’ Me’ which is available to her fans on a number of social media platforms. The new music single features jazz singer Mumba Yachi. The song was produced by ProFyLe, Cashroll and James Sakala of So Good Entertainment. The single is available for free on Audiomack, SoundCloud. 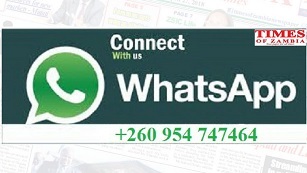 ‘After a busy year of entertainment, excitement, controversy; ultimately progress,’ fellow singer Victoria Wezi Mhone, aka Wezi, wrote on social media platform WhatsApp. Wezi hailed the featuring of Mumba Yachi on the single. The single, Same Ol’ Me is an intimate artwork in which Sophie shares a lot of herself that is not seen in public.